Summary (from Amazon): In a California courtroom, seventeen-year-old Nou Lee's mind reels with what she is about to do. What she must do to survive. She reflects on the splintered path that led to this moment, beginning twelve years ago in 1978, when her Hmong family escaped from Laos after the Communist takeover. The story follows the Lees from a squalid refugee camp in Thailand to a new life in Minnesota and eventually California. Family members struggle to survive in a strange foreign land, haunted by the scars of war and loss of family. 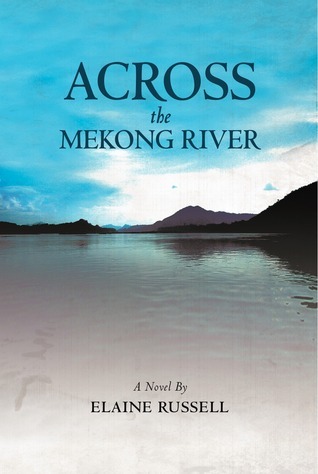 Across the Mekong River paints a vivid picture of the Hmong immigrant experience, exploring family love, sacrifice, and the resiliency of the human spirit to overcome tragic circumstances. 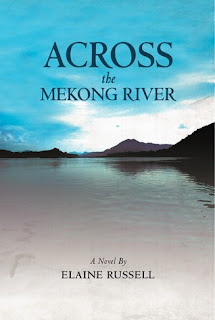 Review: I have never read a book set in Laos or one that covers the Hmong experience in Laos or in the US so this book was really fascinating. I do remember when the Hmong arrived in my town in the late 1970s, though they tended to live in together out by the University, 15 miles from my house. After reading this book I feel like I have a much better sense of what it must have been like for them to arrive here, try to adjust to a completely new life, and to deal with America after fleeing Laos. The story is told by three characters: Pao, the father of the family. He is intelligent, educated in Vietnam, a hard worker, and someone who will sacrifice for his family. His wife, Yer, loves the rural life they have in Laos, but has dark moods that are all-consuming as some of her children and family members perish during the war. Nou is the eldest daughter around whom the story revolves. She is such a well done character, really showing what it is like to be the first generation in a new country. She is caught between the traditional Hmong culture of her parents and her new life as a junior high and high school student in America. 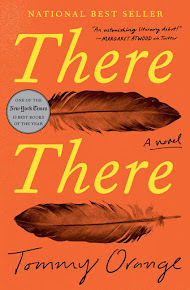 The themes of family, struggle, resiliency, love, and more all play important roles in this book, but the reader isn't hit over the head with them. Instead I got a family that I really cared about. The chapters in Laos are informative as well as interesting and captivating. Once the family reaches America, it feels more familiar (I am first generation American though my life was MUCH easier) and I felt the pain of the family as they fought to get jobs, learn English, blend in at school, and much more. Why is Nou in court? That is the secret of the book and is done really well. I didn't figure it out until right before it is revealed, which is great. If you are interested in what it was like to live in Laos during the Vietnam War or to be an immigrant to the US, this book is for you.